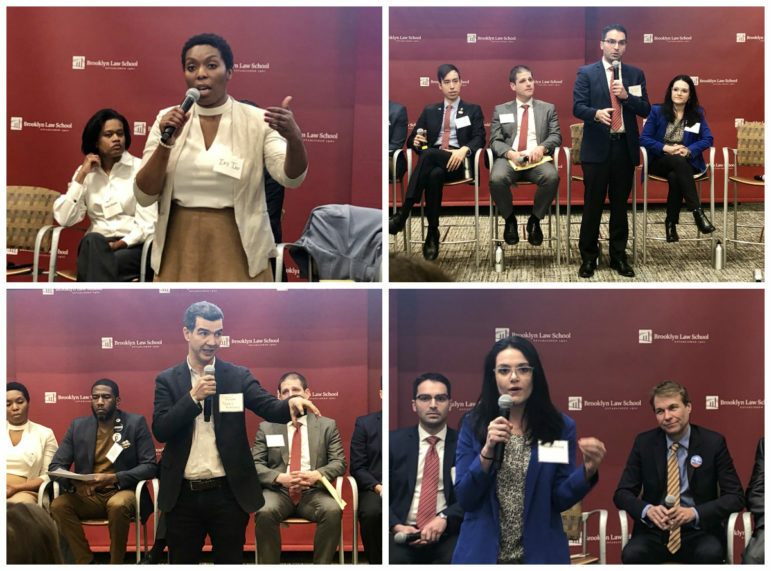 More than a dozen candidates for public advocate participated in a sustainability forum in Brooklyn Tuesday night. 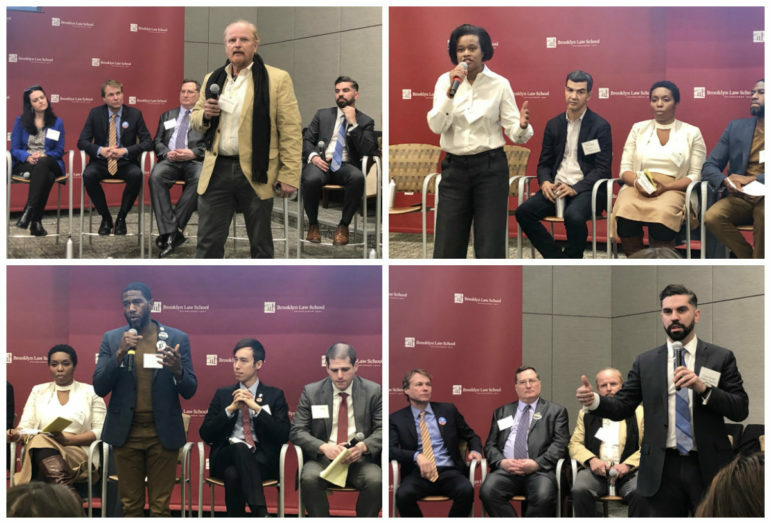 The bevy of candidates vying for the office of public advocate squared off Tuesday night in a debate focused on sustainability and environmental issues, touching on topics like congestion pricing, the regulation of electric bikes and scooters and funding the beleaguered MTA. 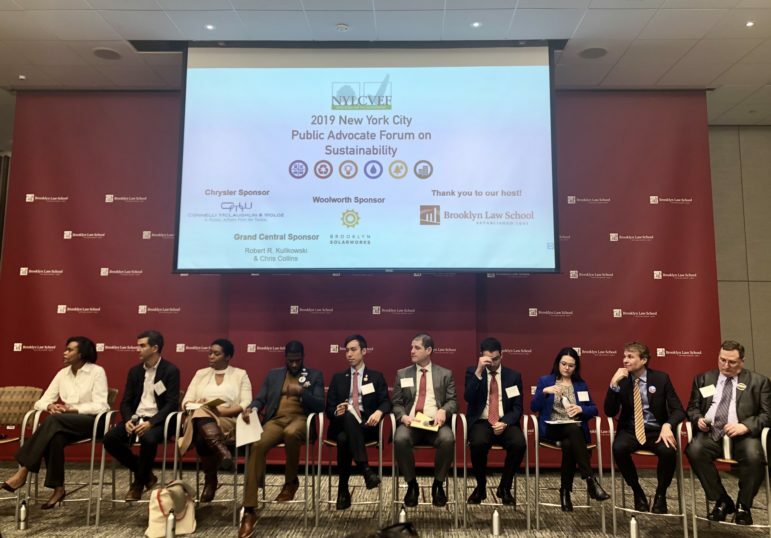 More than a dozen contenders participated in the debate, hosted by the New York League of Conservation Voters Education Fund at Brooklyn Law School. Voters will get a chance to cast ballots for the next public advocate during a special election on Feb. 26, filling the seat previously held by Letitia James, who vacated the post at the start of the year after being elected state attorney general. City Council Speaker Corey Johnson is the acting public advocate until next month’s vote, after which the winner will take office right away, though they’ll have to run again in the November general election. 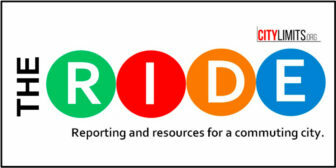 The public advocate position was first introduced in 1993, and the post comes with a wide range of potential powers, though its overarching role is to serve as “an ombudsperson for all New Yorkers—a government official who champions the public and ensures government is responsive to their needs,” according to the office’s website. During Tuesday’s debate, moderator and Politico reporter Gloria Pazmino quizzed the candidates on a number of issues; here’s what they had to say on a few hot-button transportation topics. Pazmino asked the panel of candidates their stance on congestion pricing—the idea of charging cars a fee to enter the busiest parts of Manhattan. She specifically asked the group if they support Gov. Andrew Cuomo’s proposal, outlined in his State of the State speech this week, to institute congestion pricing and have the revenue it raises help fund the MTA’s capital plan, with the city and state evenly splitting the funds needed to make up any shortfall. Several candidates said they support the concept of congestion pricing, but would need to see the exact details of Cuomo’s plan before signing on. “This governor, in particular says some grandiose things, and when you start digging into it, it’s not what you want it to be,” said City Councilmember Jumaane Williams, who says he supports the implementation of both congestion pricing and a millionaire’s tax, a method Mayor Bill de Blasio favors to raise transit revenue. Ben Yee, a political and civics activist, said he too supports congestion pricing as a concept, and also favors reforming the price of parking in the city as a supplemental or alternative option. Councilmember Rafael Espinal, likewise, said he is “100 percent supportive of congestion pricing” and agrees that the city and state should split the bill when it comes to MTA funding. The candidates offered their thoughts on environmental issues like congestion pricing and the legalization of electric bikes. “I do think we should explore other solutions, possibly Park and Ride, and getting facilities where people can get from those transit deserts to facilities where they can park their cars and then get on public transportation,” she explained. “People are entitled to move freely throughout the city and that is what I’m going to fight for,” he said. Councilmember Eric Ulrich, who represents Queens, said he also feels congestion pricing “in its current form” would unfairly target outer borough residents; he’d prefer to reinstate the commuter tax that state lawmakers repealed in 1999. A number of candidates said they support the idea of legalizing and regulating electric bikes and scooters, saying the vehicles offer another option for getting around the city without using a car. Espinal has introduced several City Council bills to do so, legislation that’s been co-sponsored by his fellow Councilmembers Rodriguez, Ulrich and Williams. “We should broaden the transportation options that New Yorkers have; it would incentivize us to get off our cars, it would reduce the burden on our MTA,” Espinal said, adding that his bills would also regulate use of the e-scooters to ensure they aren’t left haphazardly on the streets, a problem other cities have been seen. “Of course, they have to be regulated,” Williams said, but added that he thinks it’s “critical that we continue to think about creative ways” to share the road. Ulrich said legalization of e-vehicles should come with the expansion of the city’s bike lane network. “Part of the solution to making sure it works in a big city like New York is vastly expanding the number of protected bike lanes and bike lanes in general in the city, and restricting those scooters and those e-bikes to the bike lanes,” he said. The event was hosted at Brooklyn Law School by the New York League of Conservation Voters Education. Rich said that while he loves bikes, he thinks the city committed a “monumental failure” in rolling out new bike lanes without doing more educational outreach to cyclists and drivers. “We had all these bike lanes start appearing [but] there was no public information given to the drivers or to the bikers or to anyone what to do,” he said. Others, though, fired back at the idea that bikes and scooters are the real safety issue. Smalls told the crowd that she herself has been knocked over in the street by a bicycle. You can watch video of the debate in full here. I noticed the visible absence of Melissa Mark-Viverito and others. Who else that was invited proved to be a no-show? If they chose not to attend was this because they presume they are front-runners and thought they were to important for the City Limits forum. Voters should be given an explanation?